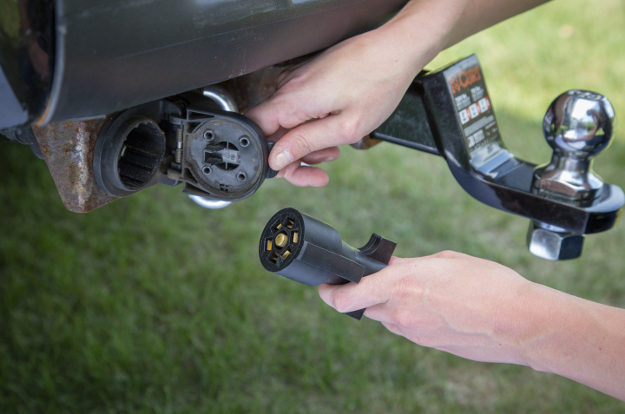 Getting plugged in with the right towing electrical equipment should be easy. That is why the majority of the CURT electrical line is plug-and-play, eliminating the need for complicated cutting and splicing. From our trailer brake controllers and quick plugs to our custom wiring harnesses and adapters, we offer trailer wiring that is application-specific and built for long-lasting reliability. The CURT towing electrical line also has a wide selection of splice-in taillight converters, OE replacement sockets and harnesses, connector testers, breakaway kits, trailer lighting and much more to give you everything you need to fully equip yourself for the adventure ahead. Many trailers are equipped with electric trailer brakes, and to properly use them, a trailer brake controller is needed. CURT brake controllers regulate the trailer brakes from inside your vehicle and serve as an interface for you to monitor and even manual control brake activity. 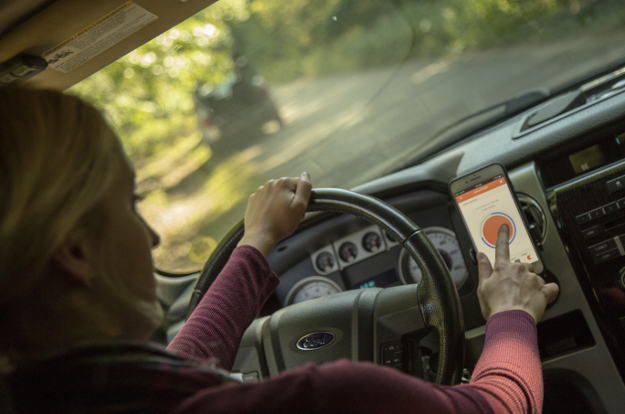 CURT offers a number of industry-leading trailer brake controllers, including our Echo™ mobile brake controller with smartphone compatibility, as well as our OE-style, dash-integrated Spectrum™ brake controller. 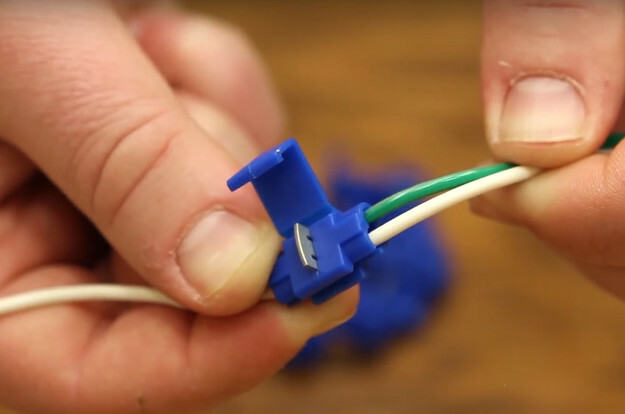 If your vehicle is not equipped with a factory-installed trailer wiring connector, custom wiring is the ideal solution. Custom wiring (or a 'T-connector') plugs into the vehicle's electrical system, using the taillights or an OEM socket, and provides a trailer wiring connector. All CURT custom wiring is made vehicle-specific and provides a standard trailer wiring connector with no splicing required. Select a custom wiring option based on your vehicle's year, make, model and style. If your vehicle was purchased with a towing prep package, it may already have a connection for plugging in trailer wiring. It may also be equipped with a USCAR socket. CURT original equipment (OE) replacement connectors are designed to plug into a USCAR socket or other factory socket and provide a standard trailer wiring connector. CURT OE replacement connectors are available in several different configurations, including dual-output options. When towing a 5th wheel or gooseneck trailer, having a wiring connection in the truck bed is required. 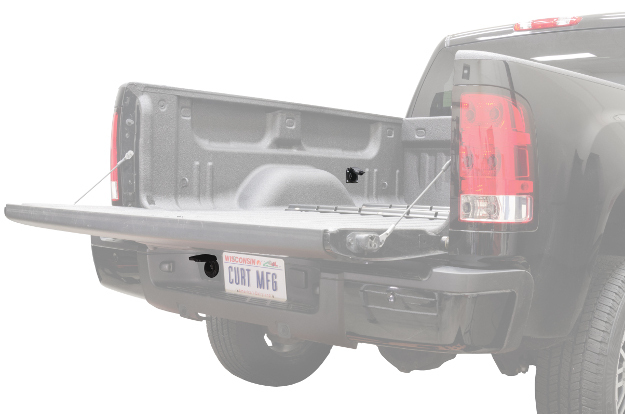 CURT extension harnesses allow you to route the 7-way RV blade socket at the rear of your truck into the truck bed for connecting the trailer lights and brakes on your 5th wheel or gooseneck trailer. CURT extension harnesses are available to retain use of the rear 7-way socket, and all of our harnesses install with plug-and-play convenience. When dinghy towing a vehicle behind your RV, a CURT RV harness allows you to synchronize the taillights for safe towing. 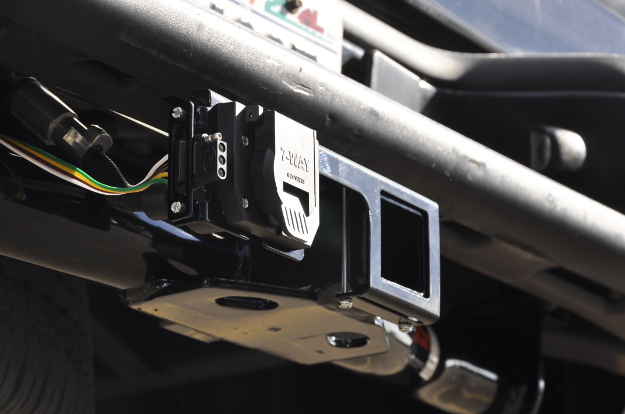 The harness connects to the vehicle, using vehicle-specific plugs, and provides a standard 4-way flat to plug into the RV socket. We offer RV dinghy towing wiring harnesses for a wide variety of cars, trucks, Jeeps and SUVs, as well as add-on wiring to equip the vehicle with an extra 4-way flat trailer wiring socket. 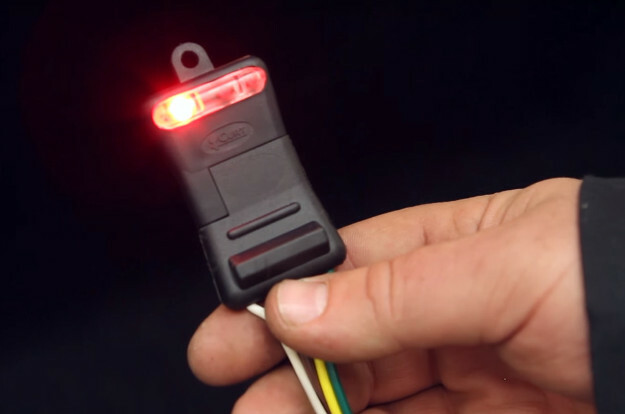 For vehicles that are not compatible with CURT custom wiring options, a taillight converter provides a reliable alternative. 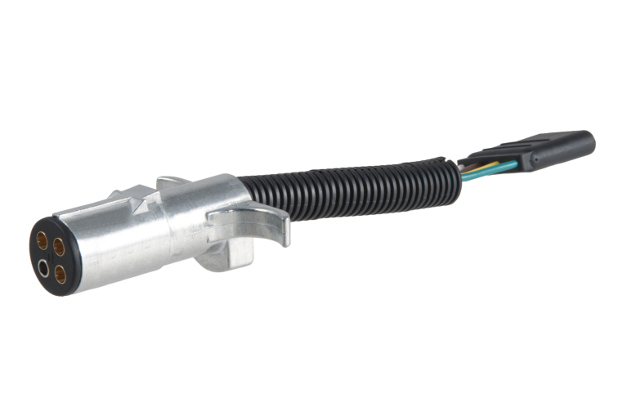 CURT taillight converters splice into the vehicle's wiring system and convert the signals to be compatible with a trailer's wiring system. Most converters provide a standard output connector, usually in the form of a 4-way flat. An adapter is an electrical device that allows a connection to be made between a mismatched trailer plug and tow vehicle socket. For example, a vehicle may be equipped with a 6-way round socket, while the trailer may only have a 4-way flat plug. An adapter can easily be installed to bridge the connection between these two opposing connector types. CURT offers a wide variety of electrical adapters, including dual-output adapters to accommodate virtually any towing setup. A CURT breakaway system is an added measure of safety and confidence for you on the road. It is comprised of a battery and a switch. 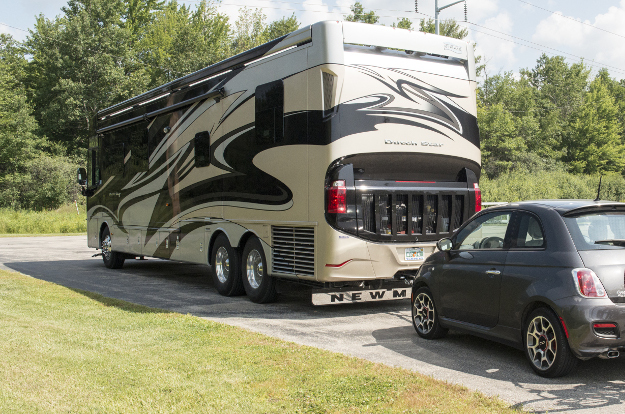 If the trailer ever becomes disconnected from the vehicle while towing, the breakaway system activates the trailer brakes, bringing the trailer to a safer stop. A breakaway system is only compatible with trailers equipped with trailer brakes. CURT offers various breakaway kit options, including some with rechargeable batteries. 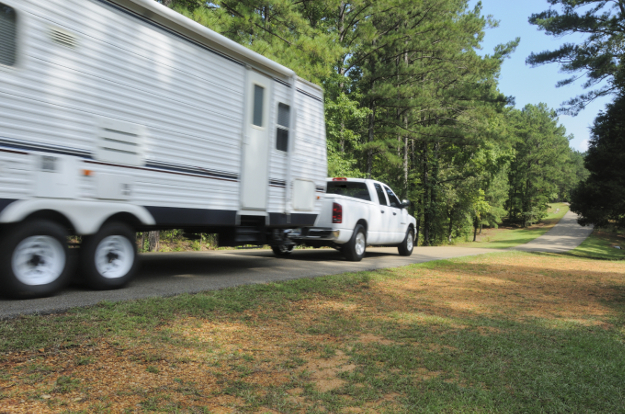 A plug and socket are the basic components that allow a vehicle wiring system to connect to a trailer wiring system. Plugs and sockets can use anywhere from two to seven wires. A socket is typically located at the rear of the vehicle and mounted on or near the trailer hitch. When preparing to tow, the plug is inserted into the socket and allows power to be supplied to the trailer lights and other electrical systems. CURT plugs and sockets are typically used as replacement parts. 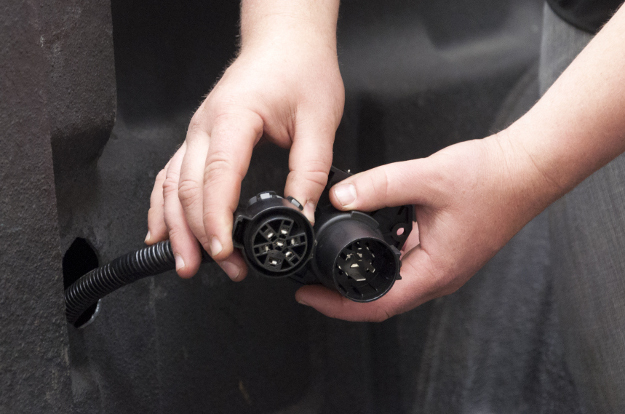 To equip your vehicle with a trailer wiring connector, please see our custom wiring options. 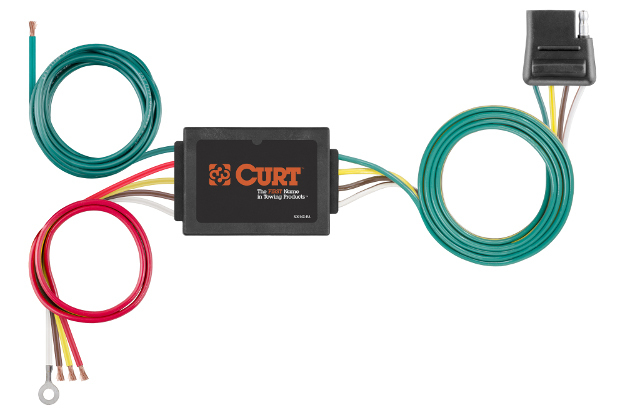 A CURT electrical tester is a small device that allows a vehicle-trailer wiring connection to be tested for proper function. They are especially useful after installing new wiring. Testers are available in various formats and plug directly into the vehicle socket. LEDs on the electrical tester light up with each wiring function (e.g. brake lights, turn signals, etc.) and indicate whether or not each wire is carrying a signal. 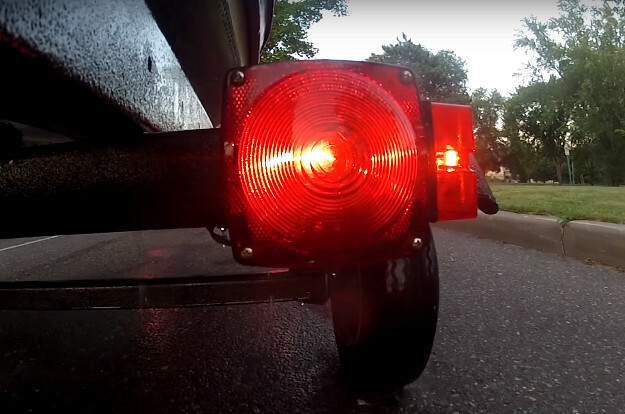 CURT towing lights are a portable, use-as-needed tow light option. The lamps come with a standard 4-way flat to plug into the vehicle trailer wiring connection, and they feature a non-scratch magnetic base to be mounted on a trailer, dinghy-towed car or other vehicles. CURT also offers replacement trailer lights and trailer wiring kits to rewire your trailer with dependable electrical components. If you're rewiring your trailer, installing trailer wiring on your vehicle or replacing damaged equipment, CURT offers a wide selection of towing electrical components. We carry wiring connectors, fuses, terminals, circuit breakers, flashers and much more. Most of our towing electrical components are sold in bulk, making them ideal for stocking up for multiple projects and keeping some on-hand for whenever needed.